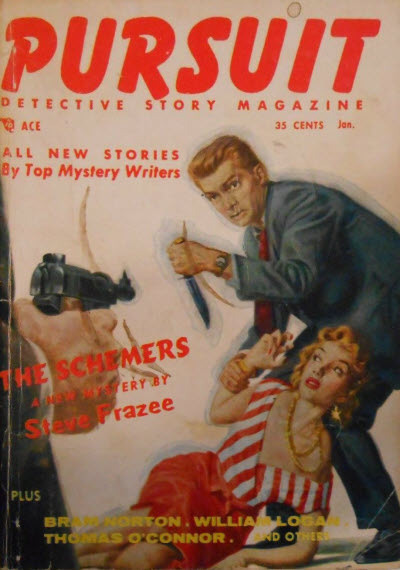 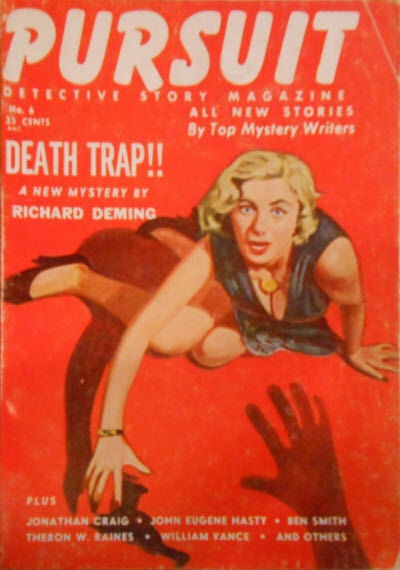 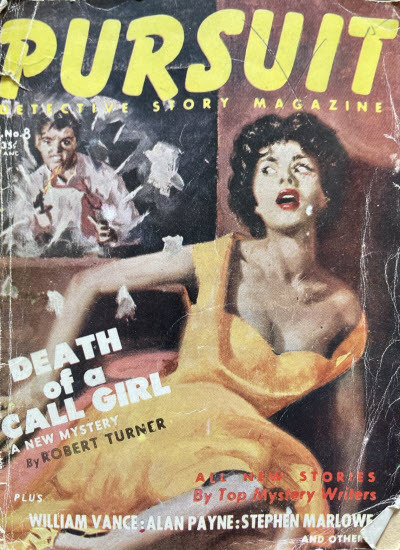 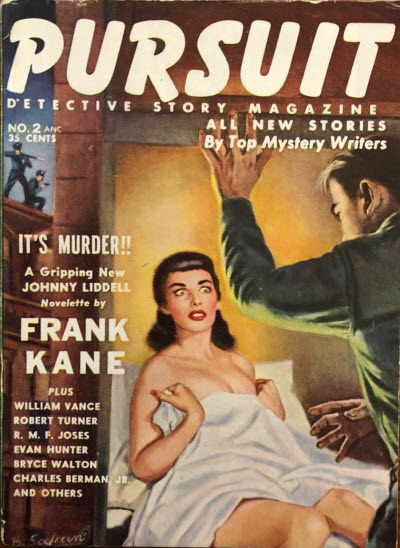 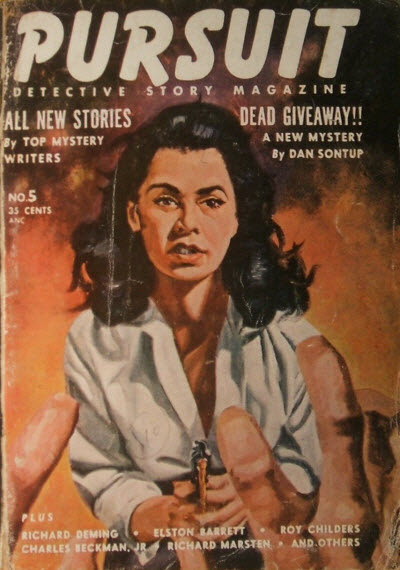 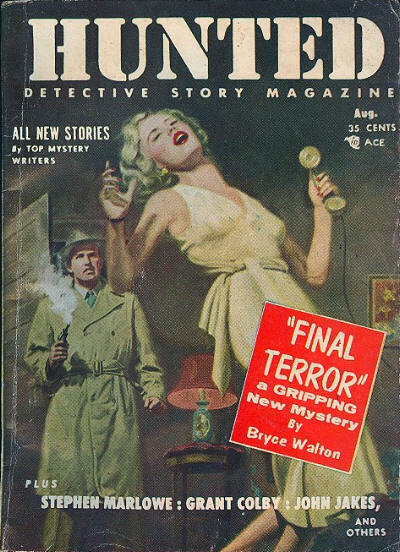 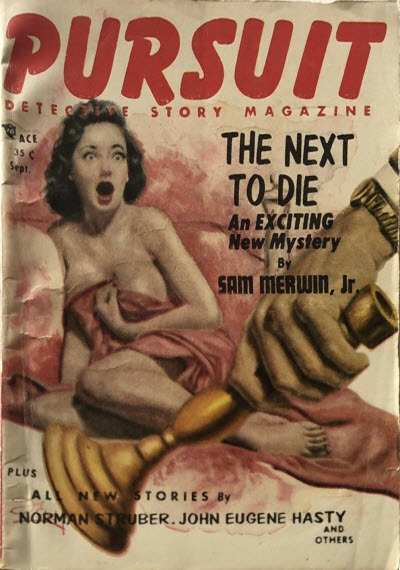 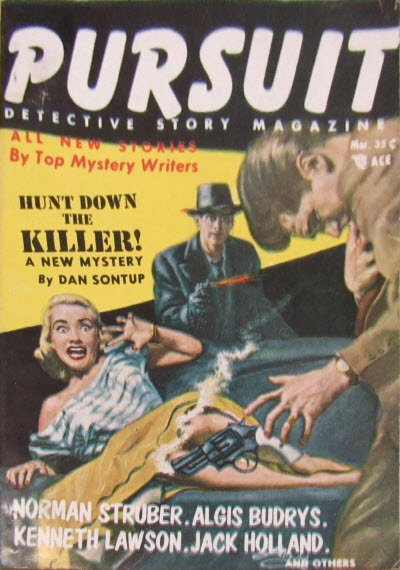 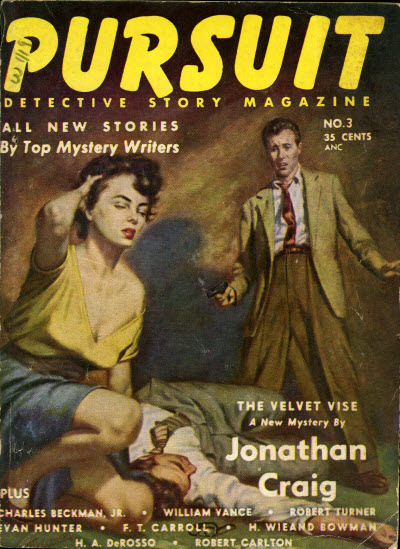 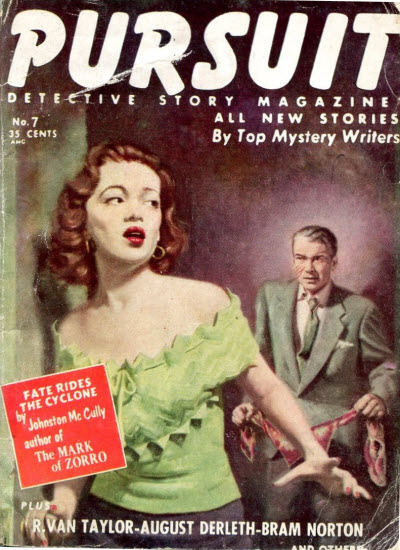 Pursuit Detective Story Magazine was launched by Star Publications in September 1953 but was really a throwback to the no-nonsense pulps of the 1940s. 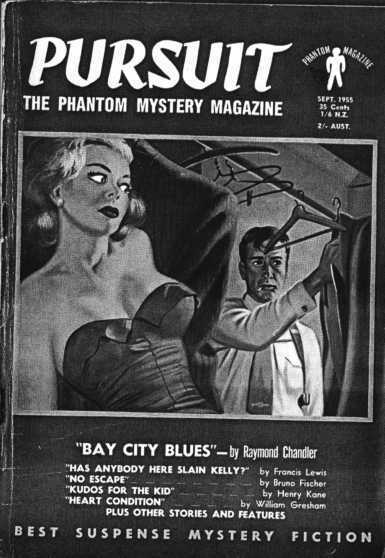 After a dozen (mainly) bi-monthly issues, the formula was popular enough for the publisher to increase the frequency to monthly. 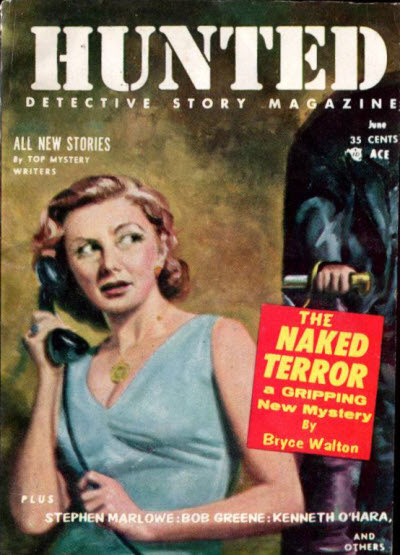 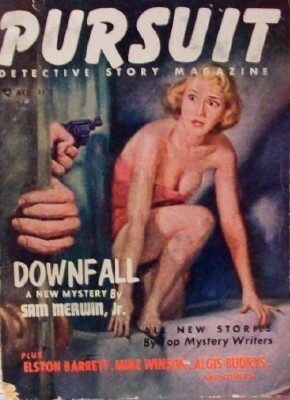 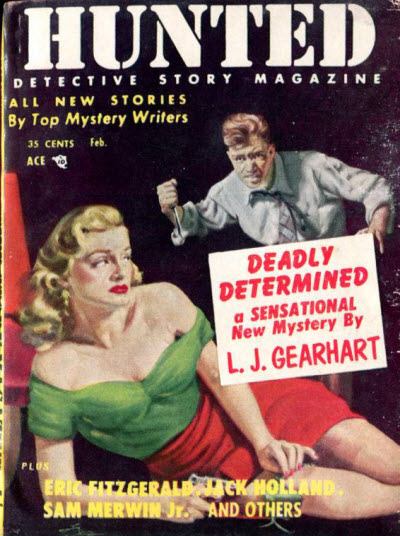 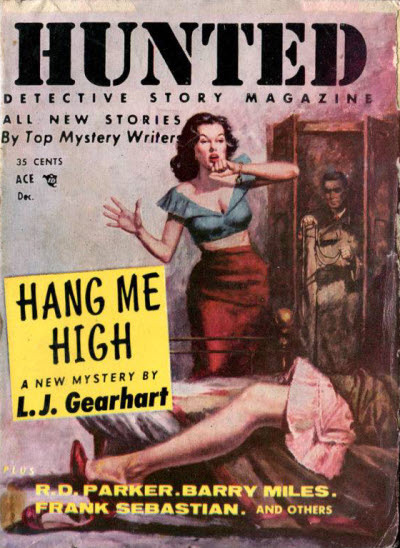 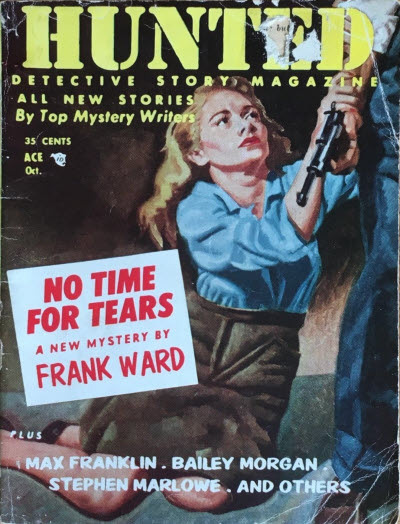 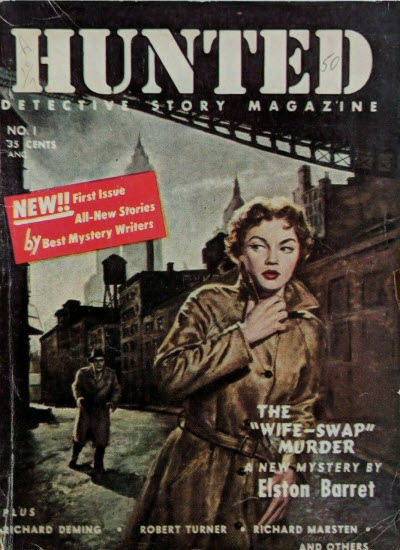 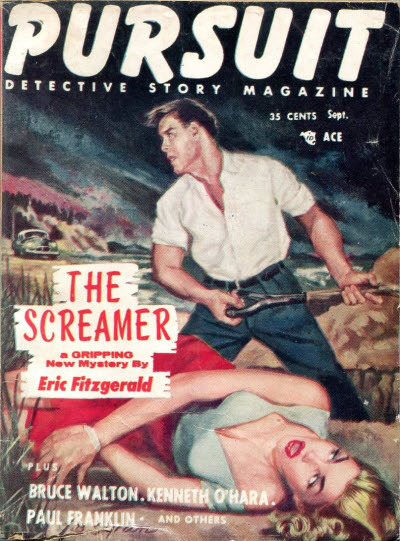 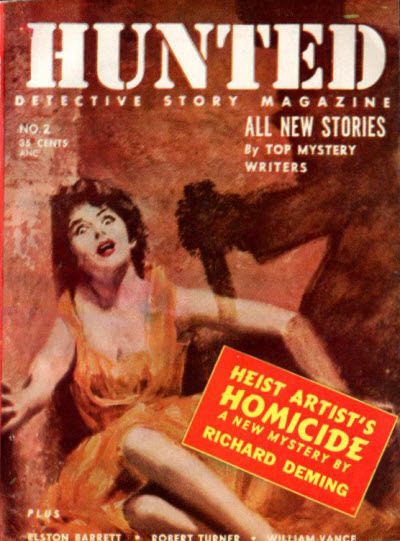 However, unusually, he did this by launching a second title, Hunted Detective Story Magazine, which was identical to Pursuit and appeared in alternate months. 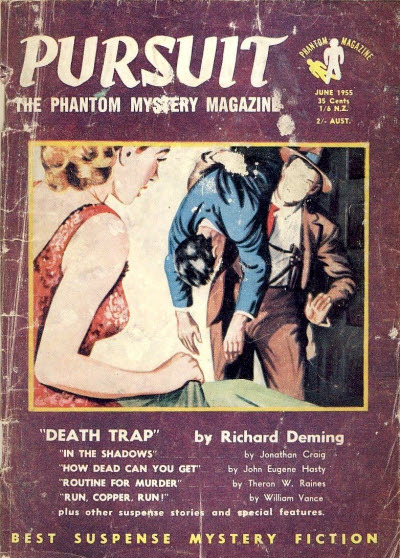 Both magazines ran for a further two years before folding at the end of 1956. 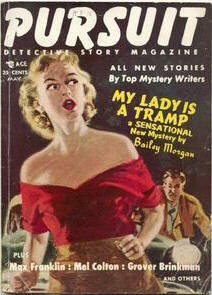 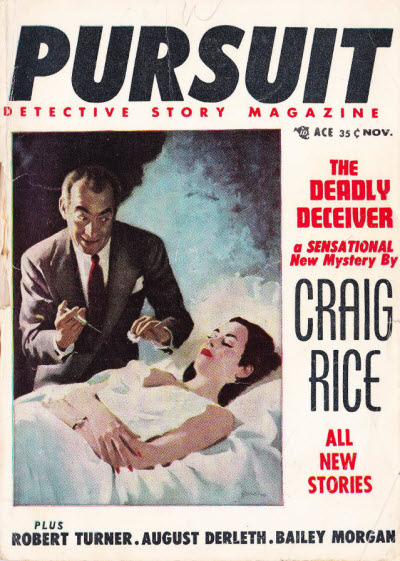 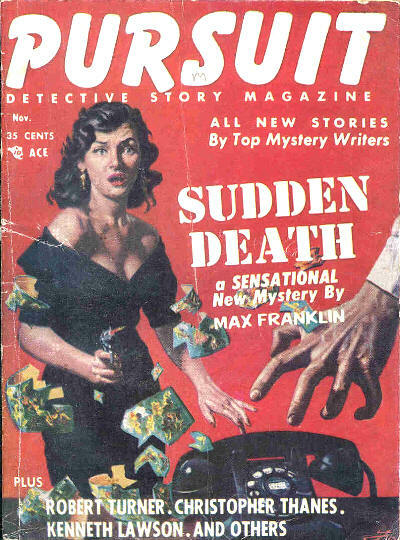 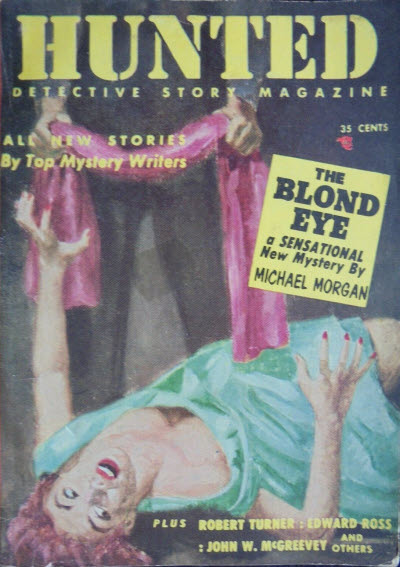 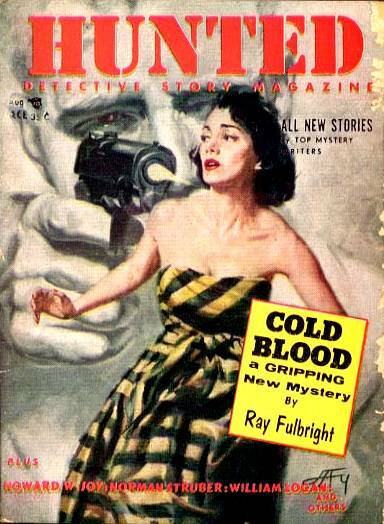 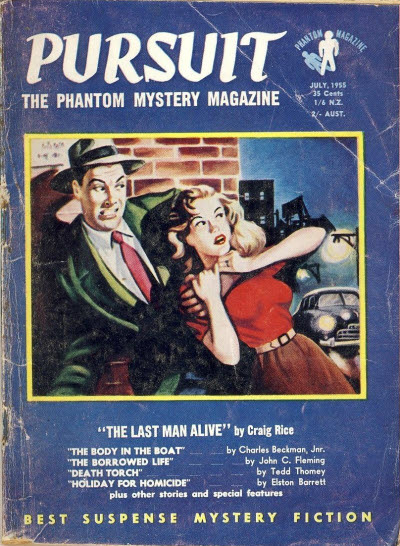 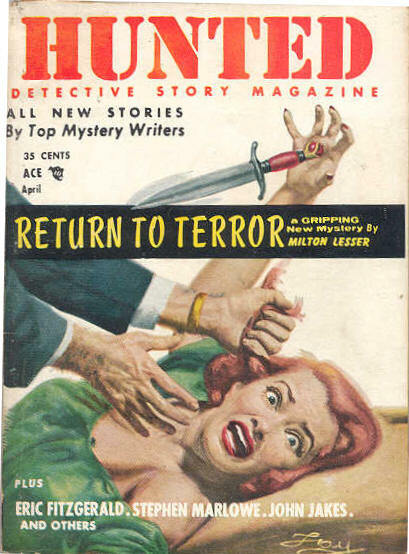 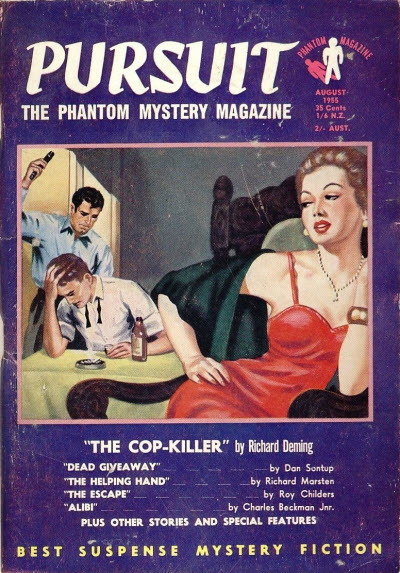 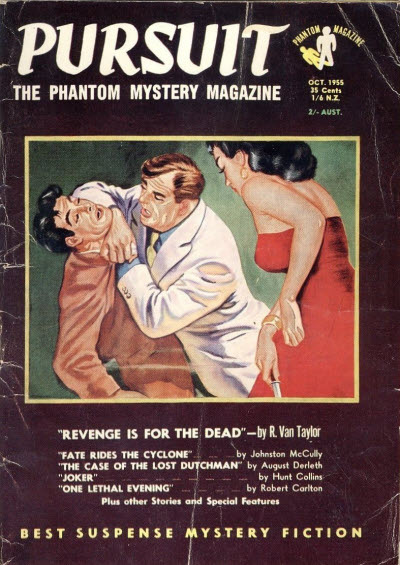 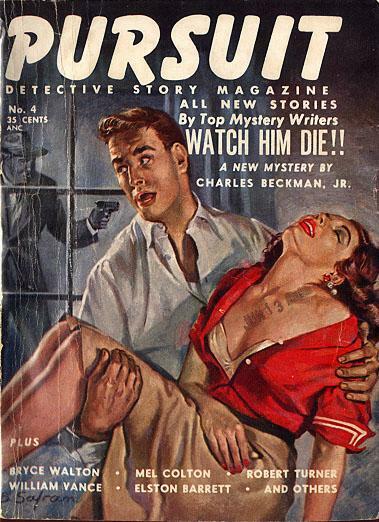 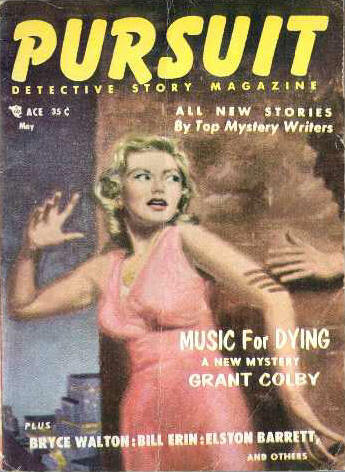 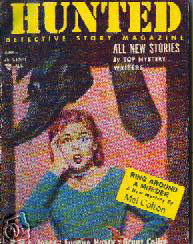 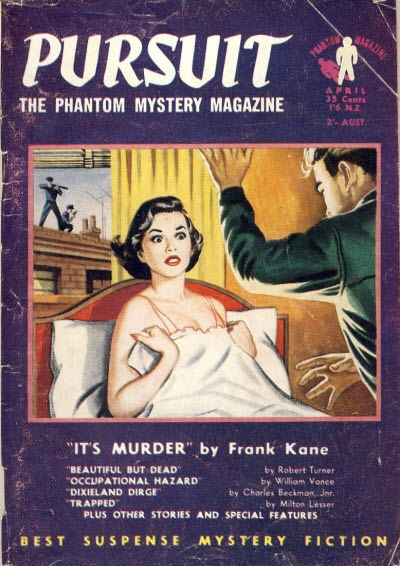 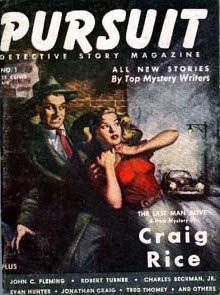 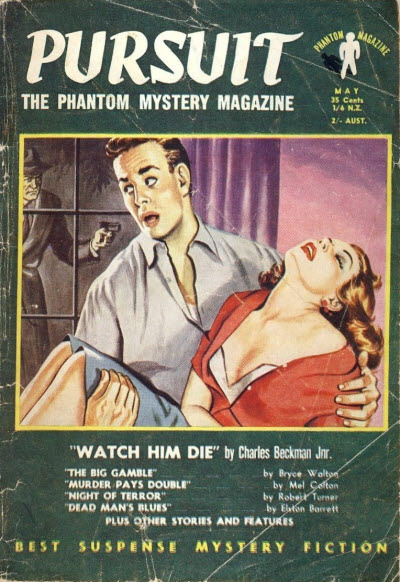 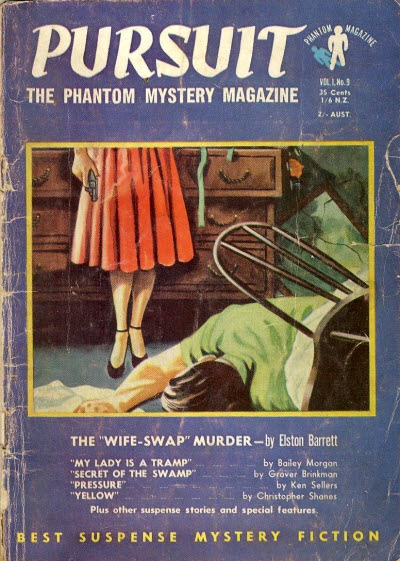 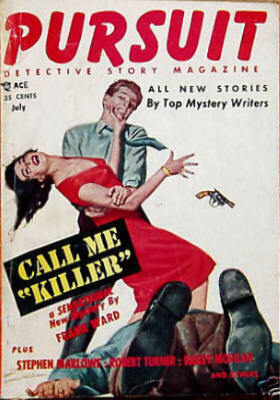 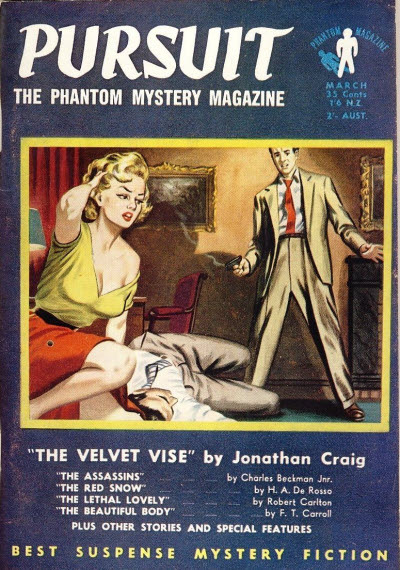 There were at least 10 issues of an Australian reprint edition under the title Pursuit--The Phantom Mystery Magazine.